Email marketing is one of the most effective and cost efficient forms of marketing. According to the Direct Marketing Association, the ROI of e-mail in 2009 was $43.52 for every $1 spent, beating virtually every other digital channel. Graphtek Interactive specializes in developing email campaigns for its clients. Customer segmentation capabilities: The key to internet marketing effectiveness is relevance. Segmenting your customer base means you can deliver information and offers to your customers that they care about, will open and act on. Build an Intelligent Preference Center. Let your prospect or customer tell you how they want to be contacted, about what, and with what type of frequency. This will help you to build trust with your prospect and make it much more likely that they will open messages from you. Custom Branded Templates: Every client has a handful of communication needs. It may be: newsletter; a new product introduction; a sale. We build Custom Branded templates for you that you can use to communicate with your customers, in conjunction with our proprietary Content Management System, G| CMS. Newsletters: Newsletters are a great way to keep your to keep your customers informed about what’s going on in their field or area of interest and to let them know what’s going on with you. Linking to the correct landing pages (or custom designed landing pages) within your website gives them direct access to your products and services when an article spurs interest. Personalized emails: Personalization, based on a customer’s preferences or behavior, results in 2-3 times more sales than non-personalized emails. Personalized emails are more relevant and targeted, which makes them have more value to your customers. Welcome Series: Welcome emails are one of the most under-utilized and, with an average open rate of around 50-60%, one of the most effective forms of email marketing. A good welcome series will let your customer know what to expect from you, tell them about your capabilities and build your relationship with your customer. It will improve the life-time value of that customer. In a 2010 study by Experian CheetahMail, welcome series e-mails had 40% higher click-through rates and four times the revenue per e-mail, compared to other promotional e-mails during the same period. Transaction based or Triggered emails: Transaction or Triggered emails are event driven and they are, without question, the most effective type of email marketing you can do. Examples of transaction or triggered emails are order confirmations, shipping notices, account service messages and other triggered alerts like reorder or renewal reminders. Customers expect these emails, look for them and open them. Over 60% of customers think that transactions emails are worth reading, versus 20% or less for newsletters and promotional offers. These emails provide an excellent opportunity to tell your customers about other items that might interest them. Transaction based or triggered emails are the most highly opened form of email campaigns. Real-time marketing: There is a huge difference in response between sending your emails out within 10 minutes of your customer or potential customer taking an action and sending your emails out on a daily or weekly basis. Graphtek Interactive has gotten our response time down to 10 seconds, so that when a prospect is interested you can capitalize on it when it counts! Follow Up marketing: How much potential business have you left on the table for lack of follow up? If a potential customer has expressed interest in one of your products or services, have you followed up with an offer that converts that prospect into a customer? Graphtek Interactive’s software allows you to create and send sequences of personalized messages to convert more prospects into customers. Localization: This type of program establishes a personal connection and is an effective way to drive traffic to a local store. Make the customer's local or preferred store a permanent element of your email template. Include the address, phone, store hours and the manager's name. Build campaigns around local events. These are the types of communications that surprise customers and help engage them in the offer. 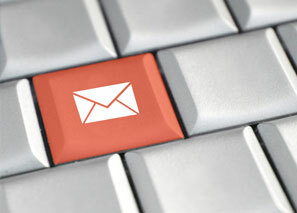 Localized email programs can help drive customers to your online and offline stores while deepening your relationship. Optimization for Mobile Devices: If your customers are on the go you should be optimizing your emails for viewing on mobile devices. 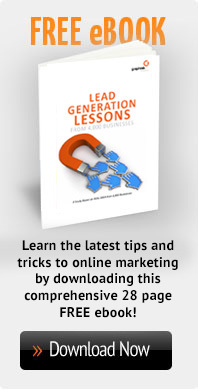 That includes copy, formatting, content, and call to action. Designing emails specifically for mobile devices can have a significant impact on open and click through rates. You must include your logo and call to action at the top of your email, front and center, ensuring that your audience can see and act upon the offer without squinting and without much scrolling. In addition, you have to ask yourself whether your business would benefit from a custom “app.” If the app would provide convenience to the customer, it could help you build usage, sales and brand loyalty. Graphtek Interactive can build it for you. List maintenance and delivery: Hard bounces, soft bounces, what’s it all mean and why should you care? Bottom line, you don’t want to be viewed as a spammer. By sending your emails to people who are really interested in hearing from you, you improve and protect your reputation. Using a double opt-in process insures that you are communicating with people who want to hear from you. Tracking your opt-out rates and reason for opting out helps you to make sure you are delivering content that is relevant and that you are not sending out more email that people want to get. Tracking Analysis: The most important thing to do is determine what metrics you should monitor. Typical metrics may be sales dollars, open rates, click through rates, conversion rates, or some other goal being reached. Once you’ve decided what you want to monitor, we code your website and marketing vehicles so that we can track what you want. Graphtek Interactive uses Mail Chimp to track the effectiveness of our email campaigns. Consumer Research: Consumer research can be conducted in a number of ways, from listening to what’s being said in Social Media to designing formalized customer experience surveys. Graphtek Interactive can help you track what matters most to your business. Let Graphtek Interactive help you create effective and cost-efficient email marketing campaigns, increase profits and grow your business!